Four distinct full-floor rooftop homes. 21 West 20th Street is an ultra-luxury residential development of 13 full-floor homes located in the heart of Manhattan’s Flatiron District. Interior architecture has by designed by MR Architecture + Décor, with a disciplined aesthetic that focuses on a rational and inspirational approach to space, proportion, and light. 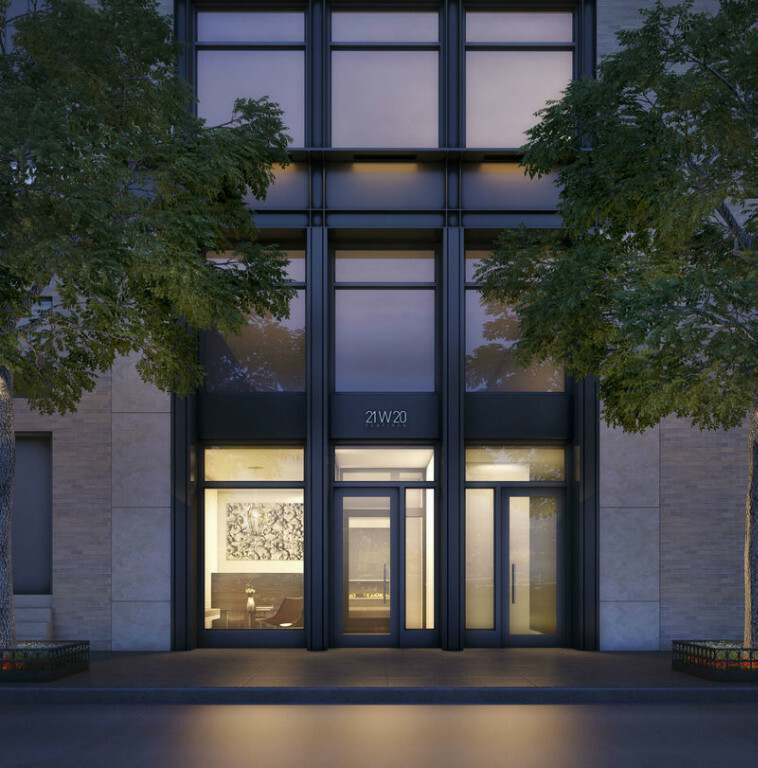 A modern balance of blackened stainless steel, glass, and stone adorn the façade as you arrive at 21W20. Rising to the tenth floor, the building then unfolds to its full breadth of 100’ wide to reveal three floorthrough 3-4Bedroom penthouse homes perched atop the neighboring restored, landmarks-protected structure. 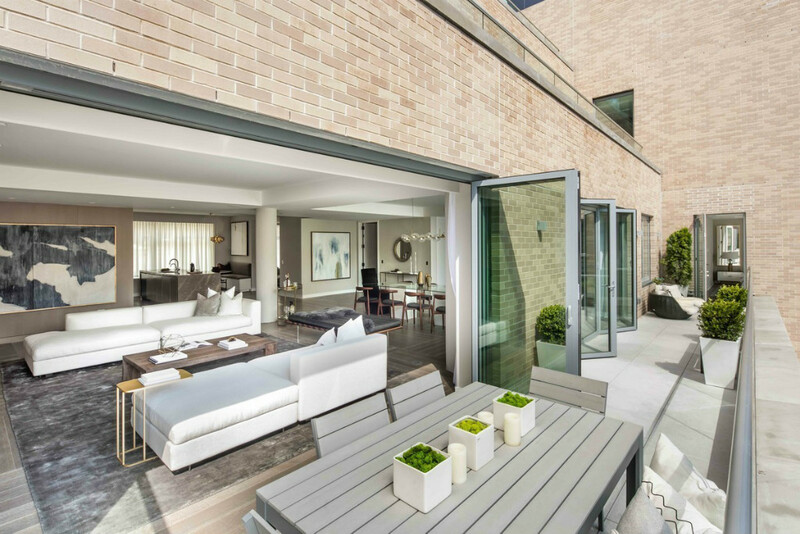 All with private terraces and floor-to-ceiling southern exposure, folding terrace doors slide to allow for a seamless connection of indoor and outdoor living space. 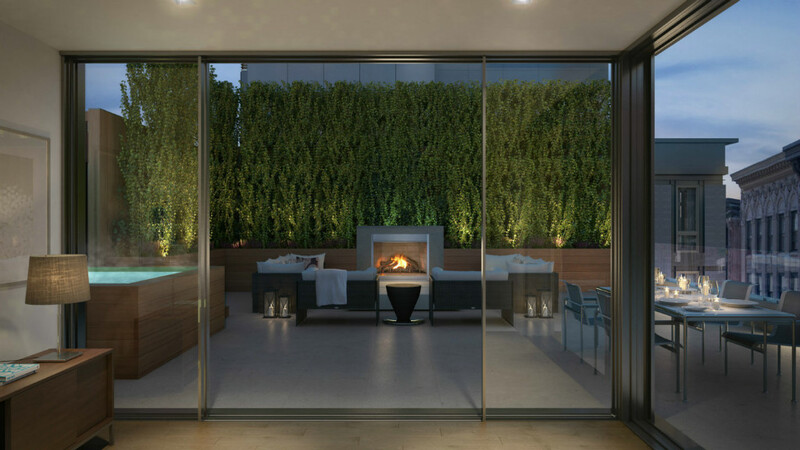 The fourth penthouse home is a duplex that crowns the building’s top two floors with the same abundance of light and air, providing expansive 360 degree views. The discreet integration and the sophisticated yet subtle design of each individual residence reflects the development team’s unwavering devotion to creating living spaces that truly enhance the vibrant lives of each home’s inhabitants.